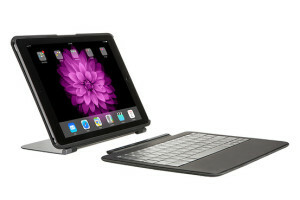 Typo Innovations is a company dedicated to designing premium keyboard tablet cases and mobile accessories. The company's most successful product, the Typo Keyboard, is regarded by some as being the the ultimate tablet companion. With Big Apple Buddy’s personal shopping service, you can now buy direct from the USA Typo Online Store anytime, anywhere. If you're looking to buy an innovative keyboard for your iPad 1 or 2, the Typo Keyboard should be right up there on your shortlist. Users have praised the Typo Keyboard for its real laptop keyboard feel, and have commended its flexibility as it doubles as a vertical and horizontal stand. 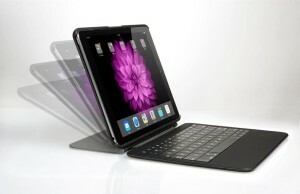 Whether it's for professional or recreational purposes, the Typo Keyboard will be the perfect partner for your tablet. The Typo Keyboard is also available for the iPad Mini 1,2 and 3. Unfortunately, the USA Typo Online Store does not currently offer international shipping. Big Apple Buddy, your personal shopper, can however help you buy from the USA Typo Online Store and ship them to your doorstep, regardless of where you live. If you would like to buy from the USA Typo Online Store, simply contact us for a free international shipping quote. We'll get back to you within 24 hours!